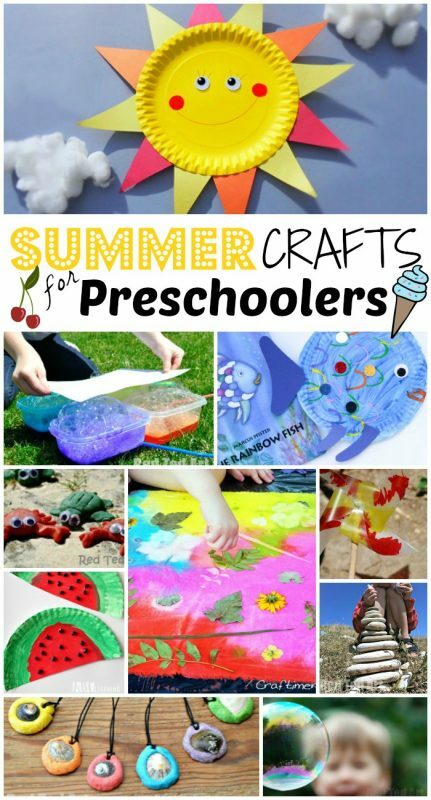 As we head into the summer months, we are on the look out for some super cute and easy summer crafts for preschoolers (well for any kids really.. but we particularly love crafting with preschoolers and toddlers – their enthusiasm is second to none and their summer crafts are always so very cute!). 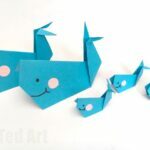 A great craft theme for summer is of course OCEAN CRAFTS… and as we love Paper Plate Crafts, especially ROCKING Paper Plate crafts (see our Rocking Bunnies and Rocking Lambs from earlier in the year..), we thought it would be super fun to have a go at an under the ocean paper plate craft. 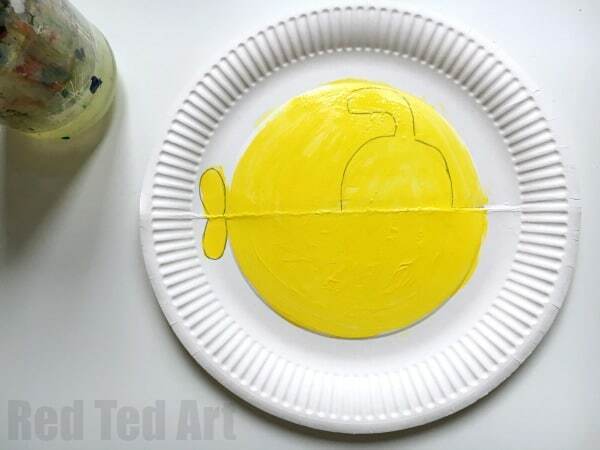 How about a paper plate submarine?! And it rocks too? 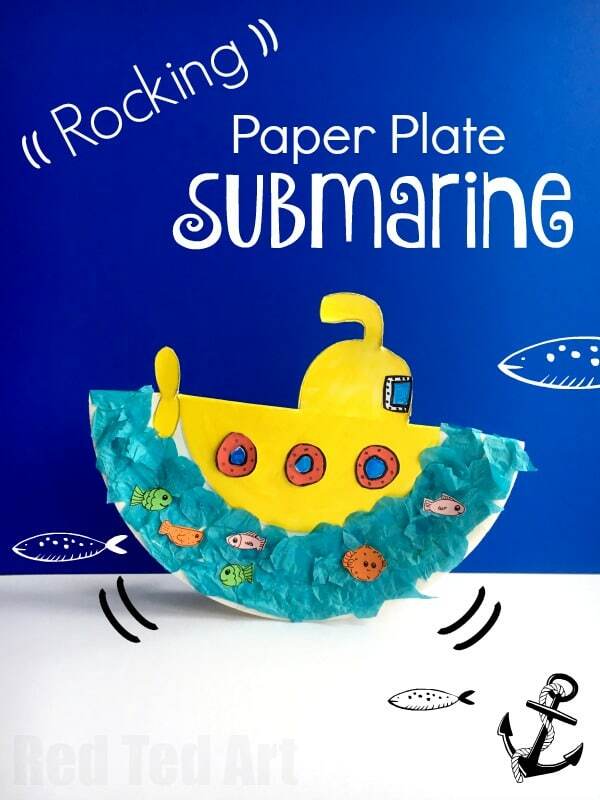 Yep… a super cute Rocking Paper Plate Submarine Craft. Now, we decided to make ours as a collage – exploring different materials, paints and textures, however, if you are pressed for time or are working in a “low mess” environment, this can easily be created with just colouring pens and some stickers too. It is totally up to you how arty (aka messy) or easy (aka non messy) you create this. I hope you enjoy!!! 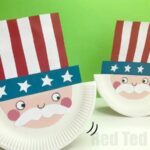 If you are working in a large group, these paper plate submarines, can also be prepped ahead of time. See below for details! 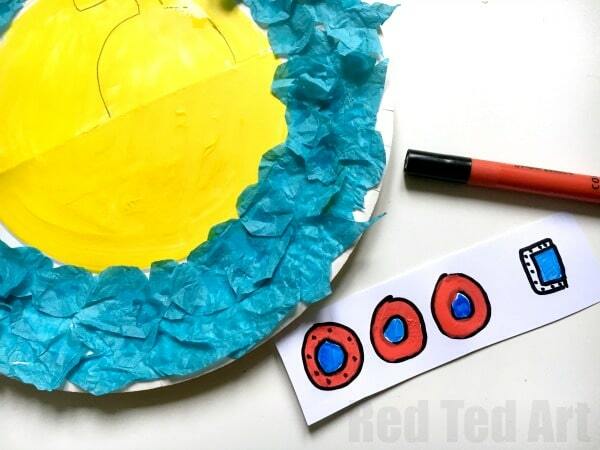 We have a super short and easy “slide show video” showing you how to make this fabulous little Rocking Paper Plate submarine (via my kids’ YouTube channel Red Ted and Pip!). Or follow the written instructions below! 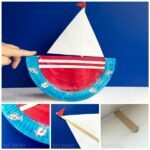 Here are the step by step images for making your own Paper Plate Submarine! 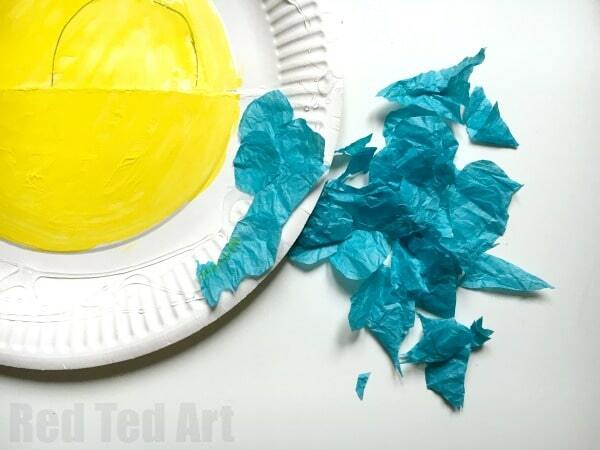 Begin by folding your paper plate in half, to create the basic shape of your submarine. 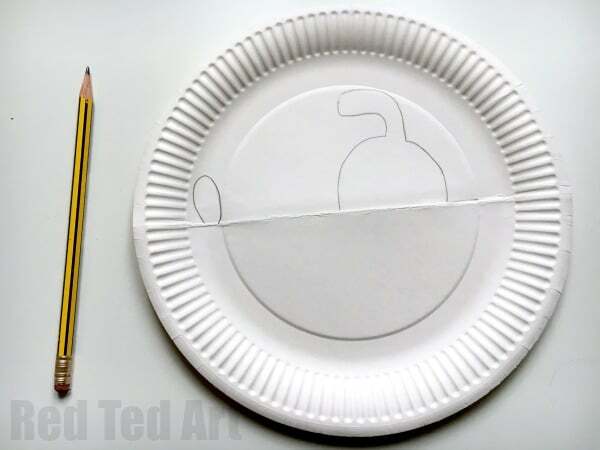 Now take a pencil add add the outlines of the submarine cabin and propeller to your paper plate – this can be done ahead of time in preparation for children to work independently. you may also wish to cut these outlines out now (we cut ours later, but it can be done now ore later….). 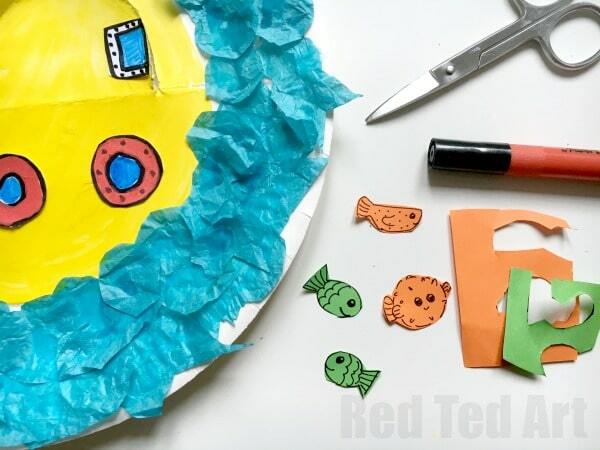 Colouring your paper plate submarine yellow – now it doesn’t matter too much if you paint “outside the lines… as you will be adding blue tissue paper for the ocean next. You can choose to colour the WHOLE paper plate or just one side.. depending on how much time you have. Rip up tissue paper and glue on. Tearing the tissue paper is great for dexterity and fine motorskills. Again, decorate the hole or only half the rim of your paper plate depending on time! 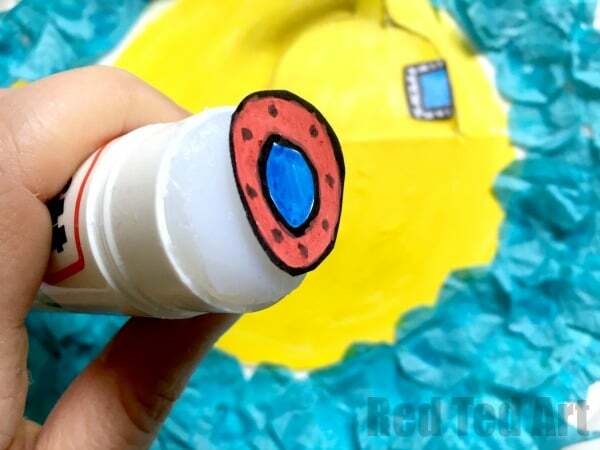 Now draw some circles and colour to create your rocking paper plate submarine’s windows. We decided to make 3 windows and added little “bolt” details to make them look extra “submarine-y”. Also draw a little window for the top part of your submarine. 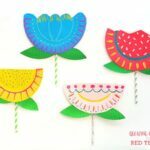 Cut out and stick onto your rocking paper plate craft. Next draw some paper fish on coloured paper with a black pen. Cut these out and stick on. 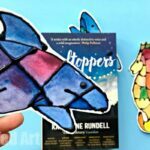 Alternatively you can use fish stickers (this would be particularly cute I think) or even add nature finds like small shells – creating a truly wonderful Under the Sea collage for kids! 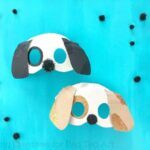 Once every thing is dry and if you haven’t done so already as outline in the step above – cut out the rocking paper plate submarine craft’s cabin. You may wish to do this for your child using a small pair of sharp scissors. 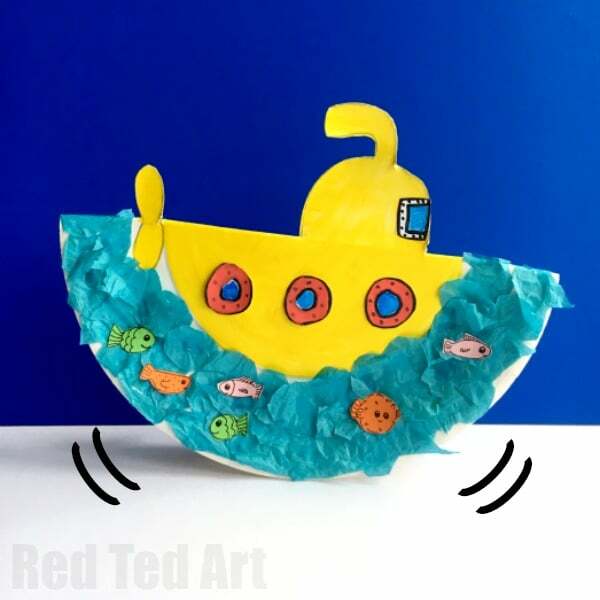 IF your submarine doesn’t stay upright fully, you can add a little glue/ or rolled up tape to the inside of the paper plate halves to keep them together and really turn this into a fabulous rocking paper plate craft for kids!!! 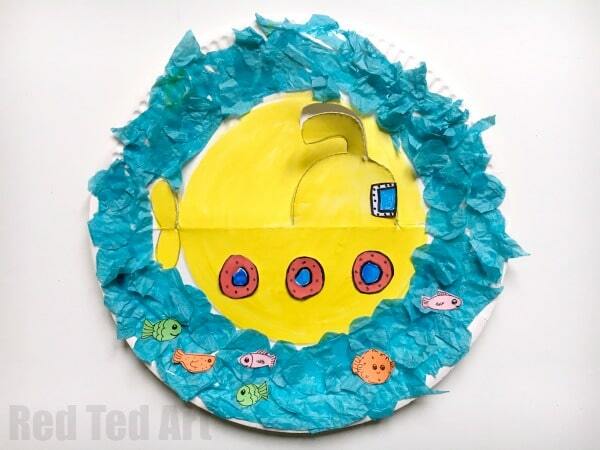 And your Rocking Paper Plate Submarine Craft is ***finished**! Enjoy. 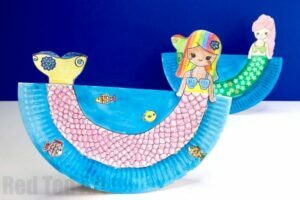 Hope you enjoy our Ocean Craft for Kids.. and that you have a go at this super cute and easy Rocking Paper Plate Submarine Craft!